Swami came in a dream last night ~ HEAVEN!!!! "I was in an auditorium and Sai Avatar was on a stage. He looked at me and said that I should continue to do the hand therapy I do with my hands (reflexology) because it is very helpful to others. But that I should be take care to not let any evil enter me. I got up and walked towards Him. I was holding a folder looked like my SSE teacher's folder. When I got on stage with Him. He asked me what I was doing. I said I wanted to take padanamaskar. He said no padanamaskar. And then something to the effect of being Self reliant and strong with the Self within. At that point the dream started to fade. I was in a room with a long table. Swami came in and moved slowly down the opposite side of the table to where I was standing. Then our beautiful Avatar raised both His Divine Hands and rays of bright white light radiated outward covering my hands. In recent times, Sir Henry Head first investigated the concepts underlying reflexology in England in the 1890s. Therapists in Germany and Russia were researching similar notions at approximately the same time, although with a different focus. Less than two decades later, a physician named William H. Fitzgerald presented a similar concept that he called zone analgesia or zone therapy. Fitzgerald's zone analgesia was a method of relieving pain through the application of pressure to specific locations throughout the entire body. Fitzgerald divided the body into 10 vertical zones, five on each side, that extended from the head to the fingertips and toes, and from front to back. Every aspect of the human body appears in one of these 10 zones, and each zone has a reflex area on the hands and feet. Fitzgerald and his colleague, Dr. Edwin Bowers, demonstrated that by applying pressure on one area of the body, they could anesthetize or reduce pain in a corresponding part. In 1917, Fitzgerald and Bowers published Relieving Pain at Home, an explanation of zone therapy. Later, in the 1930s, a physical therapist, Eunice D. Ingham, explored the direction of the therapy and made the startling discovery that pressure points on the human foot were situated in a mirror image of the corresponding organs of the body with which the respective pressure points were associated. Ingham documented her findings, which formed the basis of reflexology, in Stories the Feet Can Tell, published in 1938. Although Ingham's work in reflexology was inaccurately described as zone therapy by some, there are differences between the two therapies of pressure analgesia. Among the more marked differences, reflexology defines a precise correlation between pressure points and afflicted areas of the body. Furthermore, Ingham divided each foot and hand into 12 respective pressure zones, in contrast to the 10 vertical divisions that encompass the entire body in Fitzgerald's zone therapy. In 1968 two siblings, Dwight Byers and Eusebia Messenger, established the National Institute of Reflexology. By the early 1970s the institute had grown and was renamed the International Institute of Reflexology. A reflexology session involves pressure treatment that is most commonly administered in foot therapy sessions of approximately 40-45 minutes in duration. The human hand is the primary tool used in reflexology. The therapist applies controlled pressure with the thumb and forefinger, generally working toward the heel of the foot or the outer palm of the hand. Most reflexologists apply pressure with their thumbs bent; however, some also use simple implements, such as the eraser end of a pencil. Reflexology therapy is not massage, and it is not a substitute for medical treatment. Reflexology is a complex system that identifies and addresses the mass of 7,000 nerve endings that are contained in the foot. Additional reflexology addresses the nerves that are located in the hand. This is a completely natural therapy that affords relief without the use of drugs. A reflexology patient removes both shoes and socks in order to receive treatment. 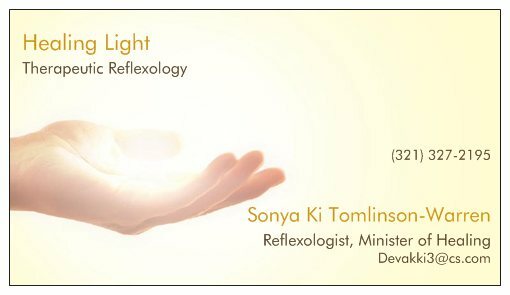 Reflexology employs the principle that the reflex points on the feet, when hand pressure is applied, will reflexively stimulate energy to a related muscle or organ in the body and promote healing.People with serious and long-term medical problems are urged to seek the advice of a physician. Diabetes patients in particular are urged to approach this therapy cautiously. Likewise pregnant women are cautioned emphatically to avoid reflexology during the early phases of pregnancy altogether, as accidentally induced labor and subsequent premature delivery can result from reflexology treatment. Because reflexology is intended to normalize the body functions, the therapy does not cause a condition to worsen. Most patients find that pain diminishes over the course of the therapy. It has been noted, however, that some patients experience greater discomfort in the second session than in the first session, because a significant easing of pain and tension is generally associated with the initial therapy session. As a result, when pressure is reapplied to the tender points of the foot during the second session, the sensitivity has been heightened. This increase in sensitivity may cause minor additional discomfort for the patient." While practicing Reflexology in New York City I was interviewed by Prevention Magazine a prominent Health oriented magazine. Subsequently I was included in a book published by Prevention Magazine entitled Hands On Healing under the Reflexology chapter.